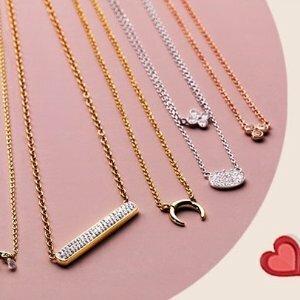 Walmart offers new in Jewelry sale. Chain Love Heart Valentines Pendant Necklace 18"
Stainless Steel "I Love You More" Dangle Heart Pendant, 18"
5/8 Carat T.G.W. Created White Sapphire Sterling Silver Interlocking Heart Pendant, 18"